Here’s a simple method to understand how John Coltrane’s composition ‘Giant Steps’ is constructed. It’s basically a Yo-Yo of a chord progression; it goes down and then up. Giant Steps arranges three major keys – B, G and Eb, in a cycle. The cycle, starting on B, goes B, G, Eb, B. It starts on B and ends on B. That’s why it’s called a cycle. The keys are evenly spaced in intervals of a major third. Play this B major chord: X 14 16 16 16 X; then move down the neck to play this G major chord: X 10 12 12 12 X; then move down the neck to play this Eb major chord X 6 8 8 8 X; then move down the neck to play this B major chord: X 2 4 4 4 X. Now you play a V chord into all those major chords, but not the first one. Play D7 before the G, Bb7 before the Eb, F#7 before the B. Play this D7 voicing: 10 12 10 11 10 10. Use that same voicing type for Bb7 and F#7. Now play B D7 G Bb7 Eb F#7 B. That’s the whole cycle. There’s a little kink in how Coltrane uses it in Giant Steps. When he gets to the Eb, he pauses and jumps back to G and completes the cycle from there. 3 steps forward, 1 step back, 3 steps forward. Or if you prefer a picture, imagine the Mark of Zorro, or a bolt of lightning. Ok? After that, he just goes V I but going up. Up, the keys go Eb G B Eb. Putting a V before those means: Bb7 Eb D7 G F#7 B Bb7 Eb. Then he plays a V to start the cycle at B all over again, so that’d be F#7. In even simpler terms: If you forget about the actual chords, then starting high on the neck, move your hand down to the end of the neck, then back up again. 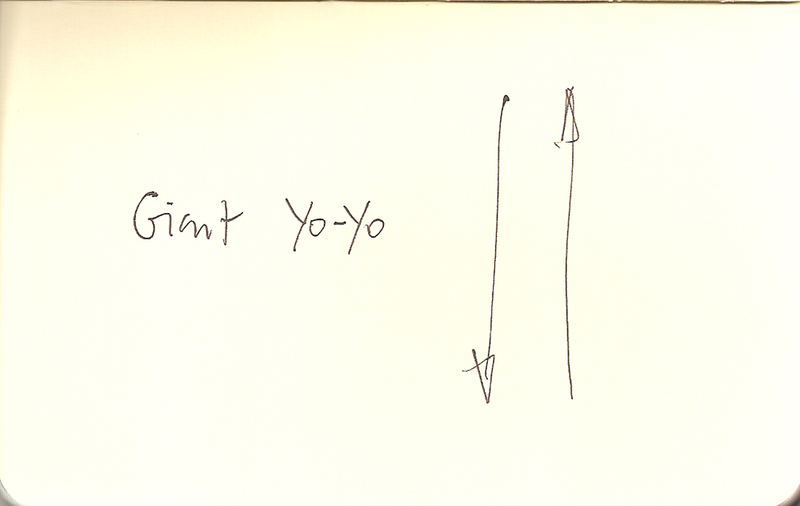 And that’s sort of how Giant Steps goes.